Thomas Griffin was born on July 10, 1917, in Green Bay, Wisconsin. He was commissioned a 2LT in the Coast Artillery through the Army ROTC program at the University of Alabama on May 15, 1939, and went on active duty on July 5, 1939. Griffin served with the 61st Coast Artillery from July 1939 to July 1940, when he became an Aviation Cadet with the Army Air Corps. 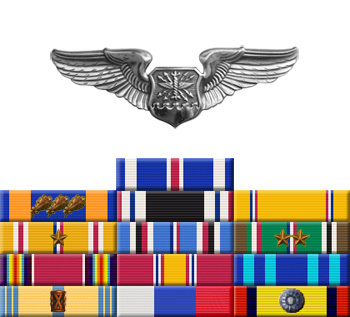 He was re-commissioned and awarded his Navigator Wings on June 24, 1941. 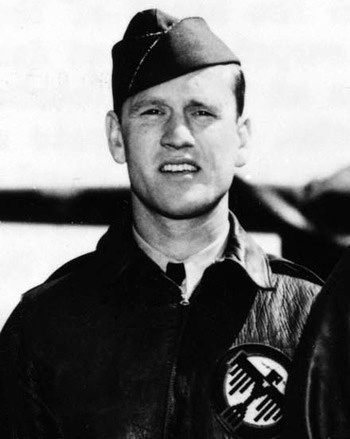 Griffin was selected for the Doolittle Mission in February 1942 and he was the Navigator on the ninth B-25 to take off from the aircraft carrier USS Hornet on April 18, 1942. 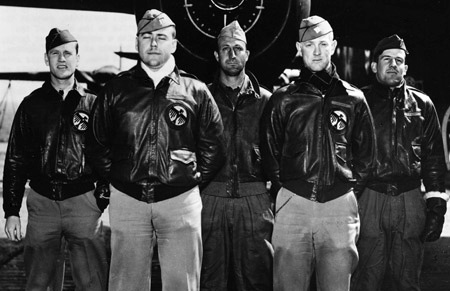 After bombing their assigned targets in Tokyo, the crew bailed out over China when their aircraft ran out of fuel. Griffin remained in China and served with the 34th Bomb Squadron from April to August 1942, where he flew 1 additional combat mission. He next joined the 438th Bomb Squadron of the 319th Bomb Group, flying the B-26 Marauder, and left for England in September 1942. Griffin flew 19 combat missions in North Africa before being shot down and taken as a Prisoner of War of Germany on July 4, 1943. He was released on April 29, 1945, and left active duty on February 22, 1946. Maj Griffin remained in the Air Force Reserve after the war, and retired in April 1959. Tom Griffin died on February 26, 2013, and was buried at Hillside Chapel in Cincinnati, Ohio. He was married to the former Esther Jones from June 13, 1945, until her death on December 15, 2005. For extraordinary achievement while participating in a highly destructive raid on the Japanese mainland on April 18, 1942. First Lieutenant Griffin volunteered for this mission knowing full well that the chances of survival were extremely remote, and executed his part in it with great skill and daring. This achievement reflects high credit on First Lieutenant Griffin and the military service.